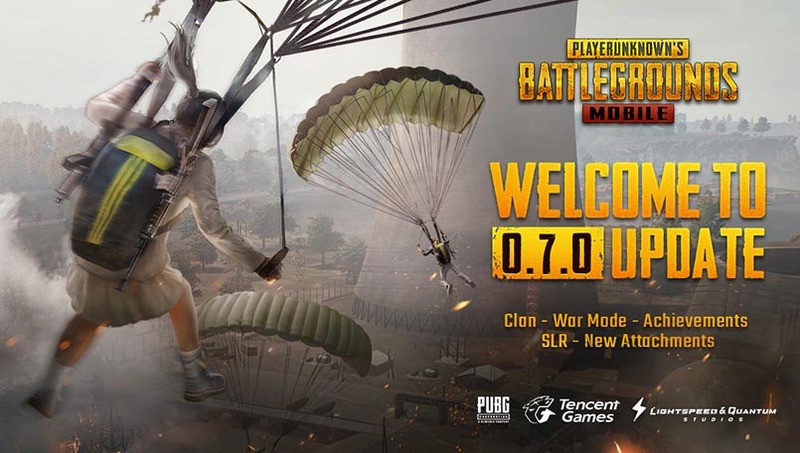 PUBG 0.7.0 update released with War Mode, Clan System and more: PlayerUnknown’s Battlegrounds, is also known as PUBG has received a new 0.7.0 update for its mobile app which will be available on the both Android and iOS platforms. The operating system of updating to download size on Android is 1.6GB, while it’s 2.2GB on iOS. The new 0.7.0 update adds a War Mode, which is touted as the new achievement system, mobile-exclusive skins, and much more to offer. PUBG Mobile is an online battle game which is very akin to its Xbox One and PC versions. In the game, players parachute onto a battlefield where they then find vehicles and weapons, and win the game a last person will be seen standing. this update is the addition of a War Mode, which is regarded as The biggest change introduced, which was beforehand limited to the PC version of the game. The Xbox version is yet to receive it but this one is all set be added soon. In the War Mode, 100 players are divided equally into two teams, they are pitted against each other in a small area of the map. Teams are received three points for the killing of an opponent, one point for killing a downed opponent, and one point for saving a team member. The team has to reach 100 points first to wins. This update also introduces a clan system, which permitted for players to make/join clans, play with clan mates, earn rewards by climbing the ranks, and complete challenges in order to win the game. Teams are also permitted to customize clan icons. The new update also brings in a region categorisation, an achievement system, new and exclusive skins for armour, weapons, and vehicles, and an SLR sniper rifle.